Do you wake up every morning feeling like there is a rain cloud on your head? Do you experience feelings of anxiety, hopelessness, and sadness? Then you may be suffering from depression. Depression is a severe issue, but when treated early enough it can turn to be a minor issue. There are several ways to treat depression. Yoga is the best natural method to use as you will not take any pills but exercise. Yoga will calm your mind by helping you to feel more peaceful as you will focus all the attention on your body. 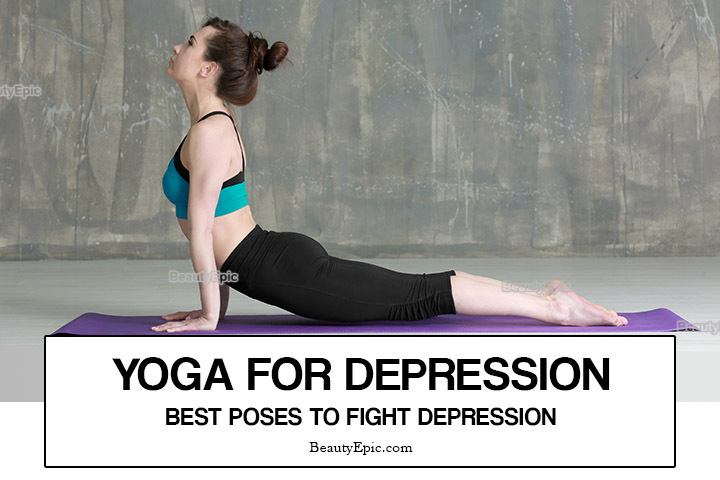 There are different yoga positions that can help you to get rid of depression naturally. This great pose will also be called Uttanasana. It has several benefits to your body. It will not only heal you from depression, but it will also rejuvenate your whole body. To do this pose, you will first start by standing straight and placing your arms along the body. Position the arms at the hips and bend forward using your hips as the pivot. Now drop your hands and hold the ankles from the back side. Make sure your chest and head are touching your thighs at this position. Benefits: Uttanasana will relieve you from shoulders, back and neck pain. It will also enhance your nervous system and reduce anxiety. Plow pose or Halasana is named from its shape that resembles the ordinary plow used in India and Tibet. This is one of the advanced postures that you should do from the beginning. To pose, you will first lie flat using your back keeping your arms and body along each other, lift your legs perpendicularly to the ground. Hold your hips using the hands and raise them towards the chest. Take your legs down slowly to touch the ground past your head and make the toes firm. Make sure your thighs are straight, and they don’t touch the head. Take your hands down and place them on the ground, palms should be facing downward. Plow pose will be mainly used for improving nervous system. Plow pose will calm your mind and reduce stress by stretching it. This makes it easy to control insomnia and headache. Child pose is also called Balasana or child’s resting pose. The name comes from two Sanskrit word that is “bala” meaning child and the “asana” meaning posture. 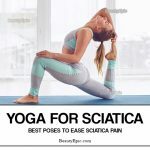 It will mainly focus on the thighs and helps to control back pain. How do I do it? Kneel down while sitting on your knees, maintain your hands on the knees and ensure the big toles are intact to each other. Expand the knee hip – width. Band your torso to the forward side and make sure the face touches the ground. Take your hands forward and place them on either side of the head with the palms facing downward. Child pose calms your brain by relieving anxiety and stress. It will also enable your overall body to relax by stretching your hips and lower back. This pose will look similar to the pose a dog when it bends facing on the downward side. 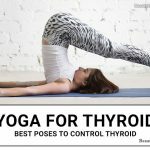 It has numerous benefits that make it essential for you to practice it every time you do yoga. Make the shape of a table with your body, Straighten your knees and elbows. This will push your hips upward making an inverted v shape. Ensure the legs are waist width apart and hands are shoulder with apart. Then hold your hands firmly on the ground and stretch your neck with your ears touching the inner arms. Downward-Facing Dog Pose will have several health benefits. It will help fresh blood to flow to your body and stretch the spine and neck releasing the pressure which will reduce anxiety. This pose will be similar to that of a dog facing upward. It is one of the simplest yoga back bends, and many people will prefer it. Lay down on the ground with the whole body facing downward. Lift your body a few inches from the ground with the hands on either side of the chest. Hold the ground firmly using the feet and keep your head facing upwards. Ensure your shoulders are away from the ears and keep the chest rising. Benefits: Upward-Facing dog pose will rejuvenate the whole body and release the stress that is trapped on the back. Bridge pose or asana got its name from three Sanskrit words, that is “setu” meaning bridge, “Bandha” meaning lock and “asana” meaning posture. This pose will be necessary for stretching your neck, back, and chest. This will help in relaxing the whole body. To do this pose lay on the ground with your back with the hands on either side and the palms facing downwards. Lift your legs and fold them on the knees making sure the ankles and knees are on a straight line. Keep your feet and legs few inches apart and parallel. Lift the whole back off the ground and stay at that position for a few seconds. Make sure the chest and chin are intact while at this position. Also, you should not bend the chin. Bridge Pose will strengthen your back muscles and relieve back pain. This will help people who have anxiety, depression, and stress. Yoga is the best natural method to release depression. All these poses will relieve you from mild depression but if you are suffering from a severe depression seek the help of a doctor.